Farmers' are using agri-environment measures to help fight the decline in meadow bird populations - due to intensive land and water use. Land management practices are being adapted to habitat conditions for meadow birds. 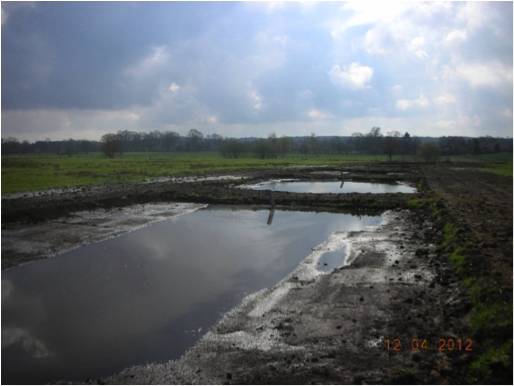 Rural Flanders has a range of environmental issues including the decline of meadow birds. To reverse this trend, the government identified management areas in which farmers are encouraged to take-up specific agri-environment measures (AEM). The nature reserve ‘Vallei van de Zwarte Beek’ (Valley of the Black Brook) is one of the most valuable natural areas in Flanders and an important habitat for meadow birds, such as black-tailed godwits, curlews, lapwings, etc. It is also an area with intensive agricultural activity and hence one that could benefit from a specific AEM. The main aim of this agri-environment scheme is to provide better habitats for meadow birds. The biggest challenge identified in the area is the survival of the chicks. To achieve better results, a cluster of measures is necessary to reduce predation and other threats. Landscape adjustment includes converting fields (maize) to grasslands that are mowed after 15 June to increase breeding success. Grassland borders along watercourses are sown with a grass-herb mixture and also mowed after 15 June. Banning fertilizer on borders reduces nitrates in watercourses. The herbs attract insects that meadow bird chicks feed on. New ponds create gathering and foraging areas. Poplar and poplar bush are replaced by lower-growing native plants to create more open landscapes. 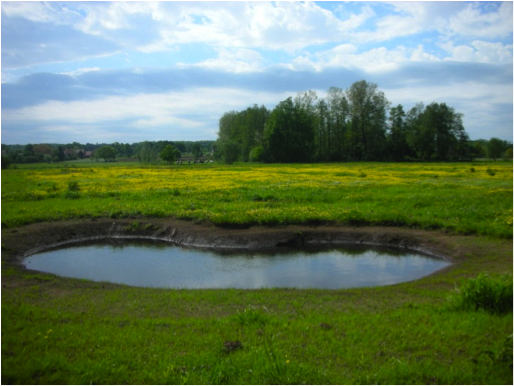 The measures are applied in a cluster of 100 hectares, and 32 new ponds are being established. As a result, the curlew breeding has improved. The snipes are now common to the newly created ponds. As their habitat conditions have improved, this can lead to a higher breeding success. The farmers not only manage the area, but they also count the number of birds and monitor nest sites. It is possible for farmers to work together, as a group, towards a common goal. The unknown is unloved, so it is essential that each farmer knows and understands what is expected. The group needs to be supported to take action and feel confident they will achieve the common goal.